Our goal is to help the recreational runner (defined as someone who currently runs less than 20 miles per week) improve their endurance such that if chosen, longer races such as half, full or even ultra marathon can be successfully completed while providing a safe and super-fun social support structure. We also want to continually set a good example for all runners. Who Should Stay And Who Should Move? 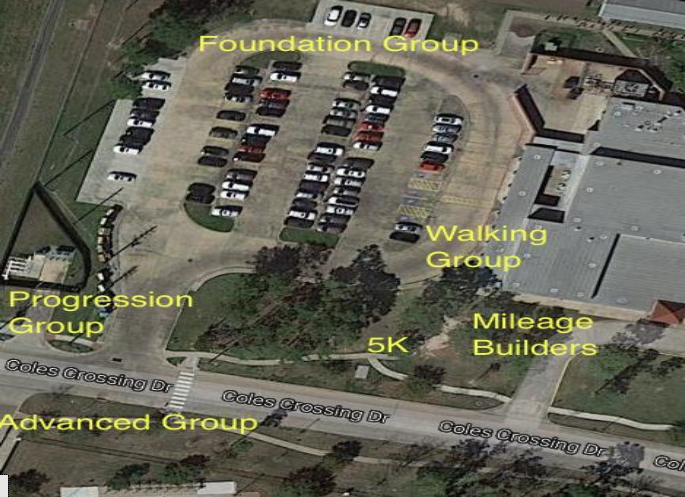 If you generally run faster than 11:30/mile, you should consider moving up to the Foundation Group. If you generally run slower than 13:45/mile, you should consider moving to the Couch to 5K Group. This pace time allows those running full or half marathons to beat the six and three hour cut-offs. Our primary goal is to keep everyone safe and best allow for social interaction. Using these ranges will help ensure three things: 1) that you’ll easily be able to find a running buddy, 2) that you won’t be bored waiting for everyone else to catch up and 3) that you won’t struggle to keep up. Please feel free to raise any questions or discuss any concerns with one our the Mileage Builder coaches. While fun and fitness are important goals for both CRC and the Mileage Builders, runner safety is priority #1 at all times. If you see something dangerous happening or about to happen, please speak up! Though training for any race is optional and up to each individual, many of the Mileage Builders will plan to train for and run one or more of the races listed below. Nyria Velasquez fell in love with running in 2005 and has completed 13 races at or beyond the marathon distance along with countless 5k, 10k and half marathon races. As far as coaching experience, Nyria was certified by the Road Runners Club of America in 2017 and this is her first season coaching with CRC. She is looking forward to helping new runners in training for their individuals races this year, whether that is a fun runs, 5K, 10K, half marathons or full marathons. Her philosophy is that any individual, not matter the distant, can achieve the results that they set forth by establishing internally their determination, commitment and passion to the task of running their desire distance. Run on the left side of the road going toward traffic. Run illuminated!!! Wear lights and/or reflective clothing! When in doubt, assume the cars can’t see you! One in/one out rule is a best practice! Use sidewalks when roads are busy! Wear or carry some form of identification on every run (including an emergency contact number). Make sure to hydrate properly – even in cooler temps! If you are running with a stroller, please attach lights to it so drivers and other runners see it. Do not leave your vehicle if you are the first to arrive to the run and keep your headlights on until you’re ready to leave! Please do NOT park in fire lanes or in front of dumpsters! Don’t leave any valuables visible when you leave your vehicle. Injury prevention is very important for all runners, especially those new to running or those that are building their mileage for the first time. We recommend warming up and cooling down for the first and last 10 minutes of your run, especially runs that are at faster paces. We’ll start all runs a bit slowly to help in this area. It is also important to implement a post-run stretch out after your cool down. Wearing the proper footwear will help to prevent injury. Finally, if you start your season running too much or too fast, you will end up injured. Use caution as you build your running base. Rest days are critical to help prevent injury. Run no more than 3 or 4 non-consecutive days per week until you have a solid base for faster, more frequent running. Your coaches can help provide guidance in this area. Remember: you can’t finish your race if you don’t make it to the starting line. These group gatherings are 100% optional. Plan to meet at 5:00 and leave at 5:05. If you miss this window, you’re on your own. In case of light rain, we run. In case of heavy rain, thunder and/or lightening, we cancel. Updates will be posted in FB and on GroupMe (see slide 10). All we ask is that if you do start with one of the Tuesday, Thursday or Saturday group runs and decide for whatever reason to cut your run short, please try to let someone know (either before we begin or during the run) so we do not worry about what happened to you. Search parties are expensive. We post weekly training plans in the CRC Facebook group. Click the “going” button to make sure you receive any communication/updates that are posted. We will have two places to park but we’ll do everything possible to make sure you don’t get them mixed up. On Tuesday and Thursday mornings, we meet in the parking lot behind the swimming pool across Cole’s Crossing Drive from Sampson. It is not showing on the map but “visualize” a parking lot behind the building behind the pool. On Saturdays, park in the large lot and we’ll meet at the Sampson Elementary driveway as shown in the picture on the below. For the Tuesday and Thursday runs, meet behind the Coles Crossing lap pool, which is across the street from Sampson Elementary. How To Stay Involved And Engaged? 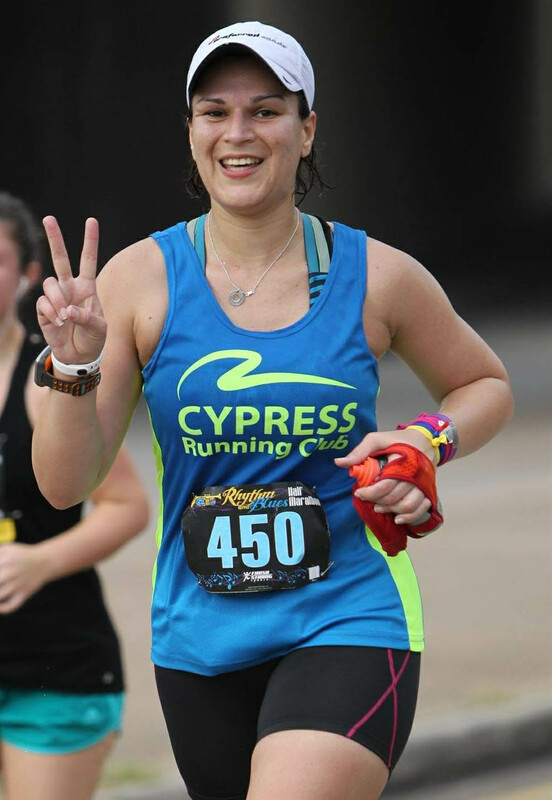 The cypressrunningclub.com web page contains a ton of great information including registration links, training plans, our monthly newsletter, the CRC store, volunteer opportunities and other member information. CRC also has a “closed group” Facebook page for those social media types who need instant updates and answers to more immediate needs and questions. The Mileage Builder group will communicate via FB and will also use a smart phone app called GroupMe. This no cost app is completely voluntary and will only be accessed by Mileage Builder members. The purpose is to keep everyone informed up-to-the-minute. For example, if you’re going to be five minutes late for a run and want to let the group know, this is the tool to use. Lastly, word-of-mouth. Feel free to set-up runs and other social activities with your running buddies. Run single file or no more than two abreast on the roads or sidewalks. When running on roads, ALWAYS run on facing traffic. Call out “Car Up” or “Car Back” when a vehicle approaches. This alerts other runners to move toward the curb. Stay visible. Lights and/or reflective clothing are mandatory when running in the early morning or after dark. Some drivers may get angry and show an aggressive unwillingness to share the road with us. We should not respond in any way other than with a smile. Very important: If you stop to use the bathroom at any retail establishment, please carry some money and buy something. The store managers may stop allowing us to use their facilities if we assume they are free. Also, remember to say Thank You to the employees. They are providing us a service that is HUGELY valuable to all of us and we want them to continue to do so. It also sets a good example for others. Ask one of your coaches – we are here to help make your running and more specifically, your overall CRC experience safe, enjoyable and successful.